Home/The Sound Jury Library (Sound Jury Consulting)/Does your witness script match your witness’s communication style? Witness scripts or outlines are a staple of any litigator’s trial playbook, as they should be for a variety of reasons. 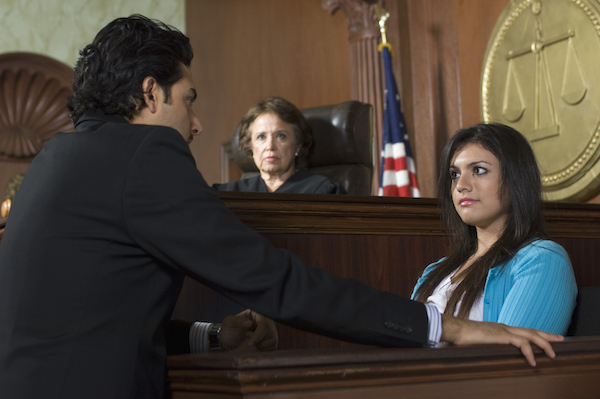 However, there are several critical mistakes or shortcuts that are often made that invite disaster on the witness stand, the biggest of which is that the attorney did not consider the witness’s particularities. Simply talking with your witness is not sufficient to uncover those particularities; instead, the best way to assess them is through a mock direct examination. Here are three critical aspects of communication that you can glean from the mock examination and then address through the construction and editing of your witness examination script. First, what kind of information processer is your witness – literal or abstract? If you’re mostly used to communicating with the same type of information processer than you’re likely to never notice that this could be an issue. Perhaps I’m inclined to notice it more as I live with a literal processer and I am very much the opposite. After 30 years of marriage, I think I’ve finally realized that the blank look I can get in response to a question is not because he thinks I’m dumb, the question is dumb, or he’s dumb, it’s literally because he’s trying to decipher what I actually asked. I’ve seen this same look on dozens and dozens of witnesses faces after they are asked a question by their own attorney. To a literal information processer, every single word has meaning and a very specific, contextual one at that. Therefore, anything that is or even could be contradictory or words/phrases that lack specificity can cause internal processing problems. That look? It’s your cue that the question does not make sense to them and they are having to spend valuable time figuring out what you are trying to ask. Remember a literal processor will mentally assess every word in the question, and you will only know where there are problems if you practice and observe what they do and how they respond to the questions as you’ve crafted them. Literal processers will tell you the questions that work and don’t work, but you have to let them. Second, what kind of speaker are they – verbose or succinct? This is perhaps a bit easier to spot. But, again, it’s only through practice that you will see how your witness handles the well-crafted, open-ended “tell me what happened next” types of questions. The goal is to craft questions that get a succinct speaker to give you a bit more without all the prodding, and a verbose person to give you less so that they don’t bore the audience (the jurors) and bury the most important parts of the answer in their very long-winded response. For a verbose speaker, focus the response on smaller bits of information either through narrowing the time period (perhaps even minute by minute), asking about specific steps in an event (instead of the whole event), and/or giving more specific cues, e.g., “Immediately after doing X, what is the very next thing you did?” Again, the critical problem with a verbose speaker is two-fold: losing juror attention and burying the lead. Both of these have the critical consequence of not assisting your jurors with your primary task: getting them to pay attention to, understand, and retain the most important case facts. For a succinct speaker, include parameters that hint at how much they should or need to say in one particular response. For example, “I understand there were three critical phases of testing; what were those three?” Follow-up, “Ok, let’s start by having you tell the jury about the first phase, priming. Tell us about the steps you took for this phase.” You’d never want to ask a verbose speaker, “Tell us what steps you took in phase one” as they’d be off for 30 minutes; but with a succinct speaker, and after practice, you’re likely to get the nuggets you need before you prompt them with the next question. And, third, what kind of learner (hence, teacher) are they – visual or verbal? Typically, a person communicates in the way that is most natural and makes the most sense to them. Considering that it is often the job of your key witnesses to teach or educate the jury about a particular issue or explain what happened in an event, then it’s best to understand how they best teach – through talking or through demonstrating? I’ve seen countless witnesses come alive when they are freed up to interact with models, draw diagrams, or reference pictures. Many people simply “perform” (aka teach) better when they have props. If during the mock examination you find the witness drawing with their hands, gesturing, pointing, etc. ask them if there’s something they could use to make the point clearer. Invite them to use a flip chart to draw what they are explaining. If it’s successful, implement it at trial. Doing this has the added benefit of being more engaging to your jurors since most people are visual learners. For some witnesses, even the simple act of making a list on the flip chart, helps keep them organized and more engaging. Bottom-line, none of these communication traits or styles can be known until after you see how your witness actually handles your script through a mock examination. Your questions might be clear and organized….to you, but not to your witness, and you’ll only know that if you practice and then let the witness provide edits to your script.